MANILA (Mindanao Examiner / Oct. 14, 2011) - It doesn’t take much – nor a long time – to wash our hands properly, however handwashing with soap is still a habit many should form, not break. With 2 million to 10 million bacteria inhabiting the area between our fingertips and elbows, it is no surprise then that human hands transmit eighty percent of all infections. Despite being a preventable disease, diarrhea kills more children every year than AIDS, malaria, and measles combined. In a study conducted by the Department of Health in 2008, it was shown that respiratory tract infections, diarrhea, and influenza are the three leading causes of morbidity in the Philippines. Handwashing with soap, considered the simplest intervention, has proven to be the most effective as well in dealing with these infections as it interrupts the transmission of diseases from one infected person to another. It should be done especially during the critical moments – before and after handling and eating food, after a bathroom break, after cleaning a child’s bottom, and after playing. 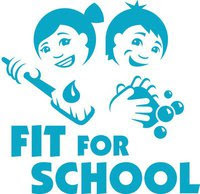 As part of the efforts to further emphasize and raise awareness on the significance of proper handwashing and with the generous and active support of UNICEF, the German Agency for International Cooperation (GIZ), and GlaxoSmithKline, the Department of Education (DepED), various local government units (LGUs), and local Philippine NGO, Fit for School (FIT) will come together once again for the month-long nationwide celebration of Global Handwashing Day. Global Handwashing Day is a Global Public-Private Partnership for Handwashing campaign that aims to promote the culture of handwashing with soap. This year’s main event will highlight the launching of the province-wide implementation on the Essential Health Care Program (EHCP) in Cebu on October 19. Joining the celebration among other guests is the Philippine Azkals Football Team who will demonstrate to the children the proper handwashing technique. Apart from Cebu, activities to celebrate Global Handwashing Day such as Memorandum of Agreement signings, symposia, launchings, and ceremonial handwashing will also be conducted in Quezon City, Camiguin, Lanao del Sur, Lanao del Norte, Cotabato, Southern Leyte, Northern Samar, Guimaras, Surigao Sur, Koronadal City, Quirino, Pangasinan, and South Cotabato. Through the signed agreements, DepED, LGUs, and FIT will work together to implement and sustain the program in public elementary schools. To kick-start the program, EHCP packages - which contain toothbrush, toothpaste, and soap - will also be turned over to several participating schools. The program aims to cultivate good hygiene practices in children by institutionalizing handwashing with soap, toothbrushing with fluoride, and bi-annual deworming in their day-to-day school activities.